As an ever-evolving institution, we are dedicated to making students’ time here on campus the very best it can be. We know that where you will eat, sleep, study and hangout for the next four years are crucial to your experience. In an effort to ensure your happiness, fulfillment and future success, we provide state-of-the-art academic buildings, student-focused recreation facilities, comfortable housing options, and lively student life areas. Bracy Hall is home to the Clarke Astronomical Observatory (1968). Moved in May 2003 to the south end of Bracy Hall, it was previously located at the south end of East Hall. It is the second such building to honor the memory of Dr. George Washington Clarke, professor of natural philosophy at Mount Union. The first observatory, erected in 1924, served until it was razed to make room for the Timken Physical Education Building. The instruments, used in both observatories, are the gifts of Elmer E. Harrold of Leetonia, Ohio. This five-story brick, steel, and concrete structure is named in honor of Professor Ira O. Chapman, who was associated with Mount Union from the fall of 1851 to the time of his death in 1880. It is the principal humanities classroom building on campus and was completely rebuilt in 1966-1967. The facility houses the departments of Education, English, History, and Political Science and International Studies. There are 30 faculty offices in Chapman, 30 classrooms, an accounting laboratory, an audio-visual room, and student and faculty lounges. Cope Music Hall, part of the Giese Center for the Performing Arts, is named in memory of the late Kenneth B. Cope ’20, alumnus, trustee, and churchman. Principal donors to the building were his widow, Lela (Stoffer ’21) Cope, and family. The building contains the offices and teaching studios of faculty members in the Department of Music. A dedicated instrumental rehearsal room, 30 practice rooms of various sizes, and three classrooms are on the east side of the building. In addition, a complete keyboard laboratory of 12 Roland electronic pianos is located in the music theory area, adjacent to a computer laboratory. The facility includes Presser Recital Hall, which is dedicated to Theodore Presser, a former Mount Union student and professor. The three-manual organ in the recital hall is the gift of the Kulas Foundation. Also located in this area is the Sturgeon Music Library, given in memory of Bertha Fogg Sturgeon and her parents, by Samuel Sturgeon. The collection of books, scores, and recordings was begun by a generous donation by Mrs. Ella Wilcox Peasley and the Carnegie Corporation. Presently, there are more than 7,000 recordings in LP and CD formats, more than 10,000 music scores, a music reference collection, and approximately 60 music periodical titles in the library. The facilities include four listening stations, an A-V room with stereo equipment, a TV and VCR, and a computer workstation with access to the campus network, the library system, and the Internet. The William H. Eells Art Center is home to the Department of Art. It contains a lecture room, painting studio, rooms for print making, sculpture, drawing and design, a Mac computer lab, and faculty offices. The facility is named for the late Dr. Eells, who was a patron of the arts, a member of the Mount Union Board of Trustees, and a former faculty member at Mount Union. The Engineering and Business Building was renovated in 2010 to serve as the facility for Mount Union’s programs in mechanical engineering and civil engineering. The building houses the Department of Engineering and the Department of Economics, Accounting, and Business Administration. The academic facility includes a two-story lobby, the John F. “Jack” Peters stock ticker display, time zone clock, five engineering labs, a computer lab, two lecture halls, a conference room, a student lounge, study areas, and 21 faculty offices. As a part of Mount Union’s sustainability initiative, contractors renovated the building under silver LEED-certified standards. Read more about the Engineering and Business Building Project. Gallaher Hall, Mount Union's health and medical sciences facility, houses the departments of Nursing, Physical Therapy, and Physician Assistant Studies. The approximately 41,000-square-foot, state-of-the-art facility features an operating simulation room, exam rooms, skill labs, a conference room, tiered and regular classrooms, expansion space, a courtyard, and faculty offices. Named for the late Dr. Charles S. Gallaher ’25, the facility is connected by a walkway to the south end of Bracy Hall, the University's natural sciences facility. The Performing Arts Center is named in honor of Dr. Richard F. and Sandra L. Giese in recognition of their exceptional service to the University from 2005 to 2015, during which time Dr. Giese served as president of the institution. The Gieses were at the forefront of the effort to provide enhanced and expanded space for the performing arts at Mount Union and were instrumental in making the dream for a center for the performing arts a reality. The center houses the departments of Music and Theatre and includes the Sally Otto Art Gallery, Gallaher Theatre, and Brush Performance Hall in addition to a choral room, green room, scene shop, costume shop, and dressing rooms. The Sally Otto Art Gallery features exhibitions of work by students, faculty, and professionals throughout the academic year. The Gallaher Theatre, a black box multipurpose space can host an array of events including improv theatre, theatre in the round, small music ensemble recitals, dance performances, and other entertainment events as well as banquets and receptions. The proscenium-style Brush Performance Hall offers seating for 450 on its lower level and in its balcony. The acoustically-significant, state-of-the-art space can host events of varied natures including vocal, instrumental, and theatrical performances. The Kolenbrander-Harter Information Center provides 45,912 square feet of technology and learning space, which is directly linked to the traditional library space. It houses the Digital, Written, and Oral Communication Studio, PC labs, a Macintosh lab, a computer science lab, a language lab, several multimedia classrooms, 24-hour access to study space, computer labs, and vending. It also contains classrooms and office space for the departments of Computer Science, World Languages and Cultures, and Communication. The facility was made possible through a lead gift from Steve '84 and Suzanne (Spisak '84) Harter. Originally built in 1950 and expanded in 1975, the University Library is located within the Kolenbrander-Harter Information Center. The library offers more than 230,000 books in open stacks, more than 900 current journal titles, back years of journals in both bound and microform format, and more than 350,000 federal government publications. Access to a wide range of computer databases and electronic full-text products is available via campus networked access to the Internet. Library collections are accessed through the OPAL catalog. Mount Union is part of a 19 library catalog consortium that uses the Innovative Interfaces software system. As part of the OhioLINK system, our users may borrow materials directly from all OPAL libraries as well as any of the 74 OhioLINK libraries throughout the state of Ohio. In addition to the OPAL catalog, the Mount Union library home page on the Internet offers access to more than 200 periodical indexes in a wide array of subject areas, more than 5,000 full-text periodical titles, a range of encyclopedias and dictionaries, and several gateways to federal government document resources. Special collections are located in the Rare Books Room and the Historical Room, which houses the University's archives and a local history collection. The estate of Louis H. Brush makes annual grants to purchase books and periodicals in memory of James Alpheus Brush, the first Librarian of the University, and his wife. The Thomas S. Brush Foundation, Inc. made a gift of approximately $500,000 in 1971 to the Endowment Fund of the University with the income to be used for purchase of books and periodicals in memory of Mr. Brush's grandparents, Mr. and Mrs. Louis H. Brush. Read more about the Kolenbrander-Harter Information Center Project. 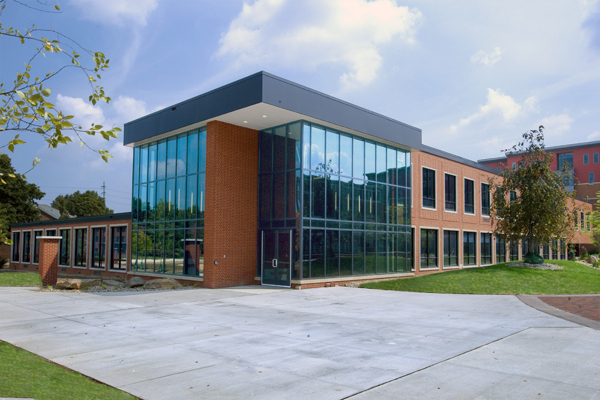 The McPherson Center for Human Performance, located adjacent to the Timken Physical Education Building, is the home for the Department of Human Performance with faculty offices, a student lounge, and state-of-the-art classroom and laboratory facilities. The building was made possible through a lead gift from Richard ’50 and Dorothy (Werstler ’49) McPherson. The center is part of the McPherson Academic and Athletic Complex. Tolerton and Hood Hall houses the Department of Psychology, Neuroscience, and Family Development and the Department of Engineering. The building includes faculty offices, a large lecture room, individual classrooms, and student laboratories. The building was endowed in 1983 through a generous gift from Mary (Tolerton '24) Hood. Tolerton and Hood was named for Mrs. Hood's father, Howard Tolerton, and her husband, Clifford Hood. The 23rd Street Athletic Complex is home to the Mount Union baseball and softball teams, while also serving as a practice facility for the men’s and women’s soccer programs. The baseball stadium includes dugouts, bullpens, a scoreboard, and a fan seating area. The softball stadium includes dugouts, a storage area and press box, and a fan seating area. Between both stadiums is a large covered batting cage utilized by both teams. Read more about the Athletics Projects. The Gulling Training Center is located west of Mount Union Stadium. The 12,750 square-foot building contains offices, classrooms, and areas for plyometrics and sprinting, as well as a weight area for strength training. The building was funded by four major gifts including the lead gift from Paul Gulling ’80; Basil Strong ’26; Tony Lee ’50 in honor of his late wife, Beverly Jean Bowden Lee ’51; and Bob Bordner. The McPherson Academic and Athletic Complex (MAAC), opened on campus in 2009, is Mount Union’s primary health and wellness complex and an extremely popular gathering spot for students. 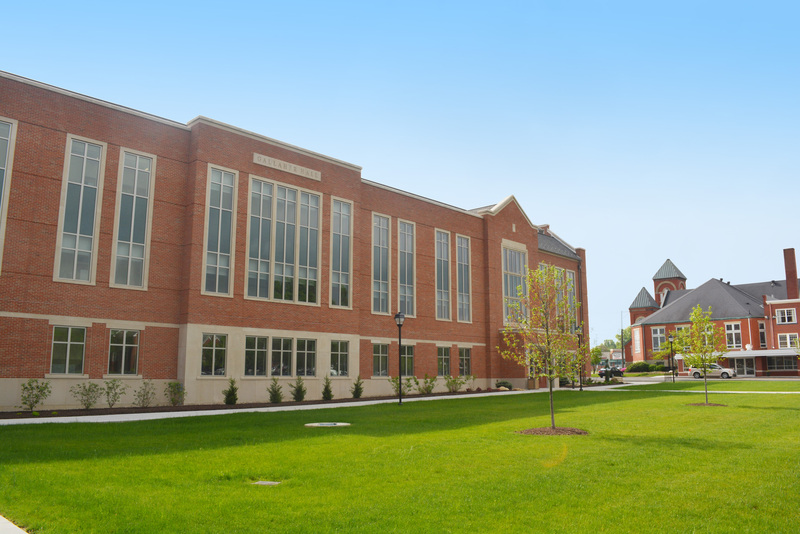 The facility is named in honor of Richard ’50 and Dorothy (Werstler ’49) McPherson, whose generosity provided for the McPherson Center for Human Performance in 1996 ,as well as for this latest addition and renovation. In addition to a wrestling room, exercise science center and laboratory, athletic training facility, classrooms, laboratories, office spaces, and an area dedicated to student recruitment, the complex includes the McPherson Center for Human Performance (1996), Timken Physical Educational Building (1970), and Peterson Field House (1981). Within this latest addition, you'll find the Cicchinelli Fitness Center, and the Sweeney Auxiliary Gymnasium. The Cicchinelli Fitness Center was made possible by Christopher Chicchinelli ’98 and his mother, Patricia Brisben. A two-story atrium takes you into a fitness center that has two floors housing free weights and cardiovascular and weight training machines. The Sweeney Auxiliary Gymnasium provides additional practice space for Mount Union’s intramural program and recreational activities. The facility was made possible through the generosity of Sean ’79 and Caroline Sweeney. Montgomery Field, which is located southwest of Shields Hall on the western edge of campus, is the site of numerous intramural and recreational activities. The field was a gift from Joseph and Charlotte Mastroianni and named for former assistant football coach Donald Montgomery ’77. The Stadium was planned and equipped by the University's Alumni Athletic Association. It contains a football field, an all-weather track, a steel and concrete grandstand, concrete bleachers, and dressing and storage rooms. The stadium playing field is made of an artificial surface called AstroPlay. Lights allow for night contests. Stadium capacity is 5,600. Part of the McPherson Academic and Athletic Complex (MAAC), the Peterson Field House is named in recognition of the late Donald ’39 and Josephine (Hoiles ’40) Peterson. Dr. Peterson’s many contributions included serving as a member of the Board of Trustees from 1954 until 2006 and as Board president from 1971 to 1987. The Field House, opened in 1981 and renovated in 2009, features the Wuske Track, a 200-meter NCAA regulation indoor track for hosting college and high school meets, named in honor of the University’s successful track coach, the late Jim Wuske. The facility also includes batting cages and indoor practice space for baseball, softball, and golf and provides recreational and varsity practice space for basketball, volleyball, and tennis. Built in 1970, the Timken Physical Education Building, part of the McPherson Academic and Athletic Complex (MAAC), includes a performance arena with three full-size basketball and volleyball courts with a seating capacity of 3,000. Also housed in the facility is a state-of-the-art sports medicine center that includes an athletic training room, offices, rehabilitation center, and hydrotherapy facilities. The Office of Athletics is located here along with classrooms, the M Club meeting room, and an interactive kiosk that includes the M Club Athletic Hall of Fame. The Hammond Natatorium, renovated in 2009, includes a pool and diving area for recreation and varsity athletic competition. This home of the varsity swimming and diving team includes office space, storage, a scoreboard, and seating for 1,000 spectators. Hammond Construction generously provided the lead gift for this facility. The University's tennis courts, located behind Bica-Ross Hall, are the gift of the late Mr. C.E. Whitehill of Indianapolis, Indiana. The facilities were relocated on campus in 1999, and the site includes six tennis courts. The Wable-Harter Building, located behind the Mount Union Stadium, is the gift of Steve ’84 and Suzanne (Spisak ’84) Harter of Houston, Texas. The building houses the football locker room and facilities, offices, a meeting room, and a training room. Wable Park, Mount Union’s synthetic practice field, provides much-needed practice space for football, soccer, and lacrosse. The facility has been named in honor of Ken Wable, who served as Mount Union’s football coach from 1962 to 1985. This three-story building houses 155 students in suite-style living units, contains two classrooms, and is located directly behind the Hoover-Price Campus Center. It was named by Violet (Bica ’44) Ross in honor of her sister Virginia and in memory of her late husband L. Clayton and brother George Bica ’41. 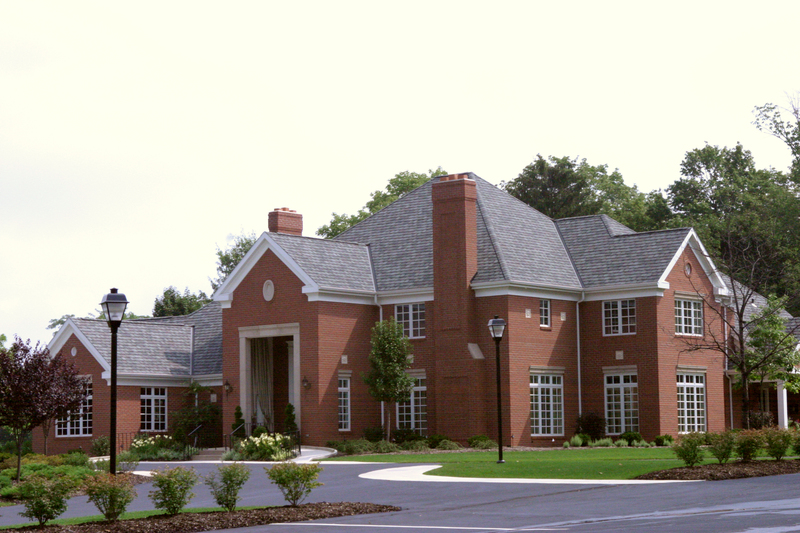 The Brown Village apartment community consists of three large manor houses – Clutter Manor, Jae Manor, and Keller Manor. Each manor house is three stories (equipped with an elevator), and each has three apartments per floor. These manors have common entrances for all residents in the facility and apartment (flat) with entrances off a common corridor. Parking is conveniently located directly behind the manor houses. Each apartment includes a living room left to be furnished and decorated by the apartment residents; a kitchen with a refrigerator, stove, microwave, and dishwasher; four stools/chairs for the kitchen islands; four bedrooms, each with a bed, dresser, desk, and desk chair; two bathrooms; and centrally-located laundry. These apartments allow juniors and seniors the opportunity to enjoy all the conveniences of living close to campus, while maintaining the feeling of independence. Students have access to the campus cable, computer, and telephone networks; easy parking; and private rooms. 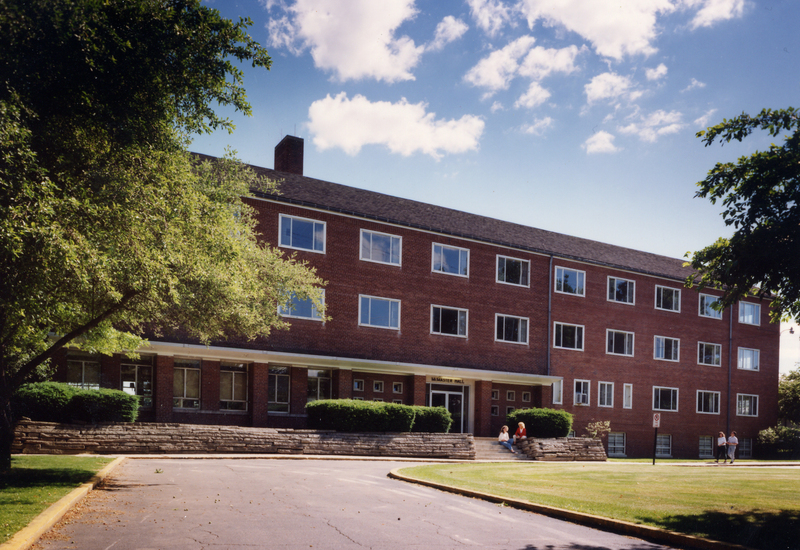 A traditional residence hall for 112 first-year students, this hall is named in honor of Mr. and Mrs. N. A. Cunningham of Alliance. Mr. Cunningham was a trustee for 30 years. The three-story brick structure, facing Clark Avenue, is a duplicate of McCready Hall, and the two halls are separated by a courtyard. Elliott Hall is a three-story traditional women's residence hall named in honor of A.V. T. Elliott of Canton. The building was remodeled in 2006. Forty-two women are housed in the building. The Hartshorn Street Village, centrally located on campus next to the Timken Physical Education Building and across from the Gulling Training Center, offers easy access to the fitness facilities of which so many of our students like to take advantage. This village community consists of three rows of houses, each with its own exterior entrance. The townhouse style of these structures gives students the real feeling of independence as they walk through their very own front door. These two story houses have an open floor plan with a living room, kitchen, bathroom, and one bedroom on the first floor. The second floor consists of three bedrooms and a bathroom. Parking for the houses in this village is both adjacent to the row as well as across the street in Gulling Parking Lot. Each townhouse includes a living room left to be furnished and decorated by the apartment residents; a kitchen with a refrigerator, stove, microwave, and dishwasher; four stools/chairs for the kitchen islands; four bedrooms, each with a bed, dresser, desk, and desk chair; two bathrooms; and centrally-located laundry. Hoiles-Peterson Hall is a two-story, L-shaped building that houses 103 students in suite-style living units. 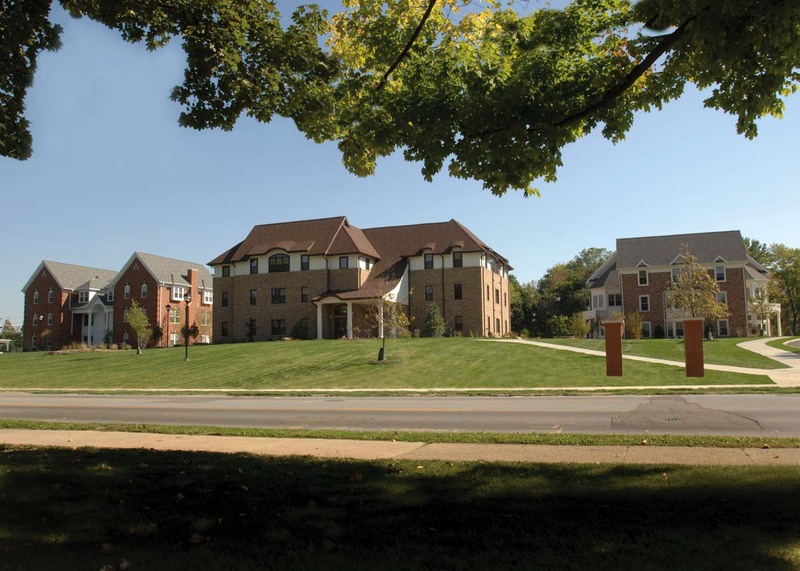 The residence hall, located on the east side of Miller Avenue, is named in recognition of the support and dedication of Josephine (Hoiles '40) and Donald '39 Peterson. Located on Simpson Street, this traditional residence hall is named for the late Dr. Charles B. Ketcham, president of Mount Union from 1938-1953 and his wife Mrs. Lucile Brown Ketcham. The three-story brick structure houses 115 students. Located next to the Health Center, King Hall, a traditional residence hall, houses 114 students. The three-story brick structure is named for the late Dr. George L. King Jr. ’22 and his wife, Margaret (Wagner) King. Dr. King served as president of the Mount Union Board of Trustees for 18 years. 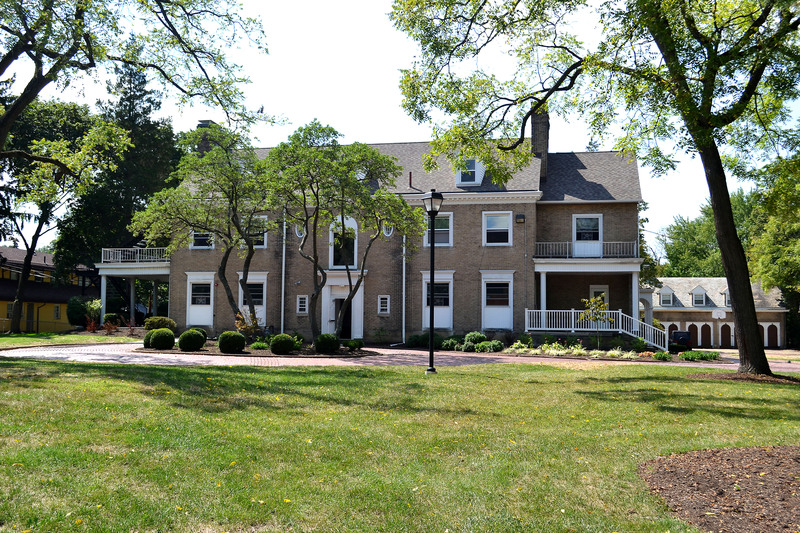 A traditional residence hall for 119 students, McCready Hall is located between Hartshorn Avenue and State Street. It is named in honor of the late B. Y. McCready ’16 of Alliance, a long-time member of the Board of Trustees, and his widow, Mrs. B. Y. McCready. Located on Simpson Street, McMaster Hall, a traditional residence hall, houses 163 women. It is named for the late president of Mount Union, Dr. William H. McMaster 1899, and Mrs. McMaster. 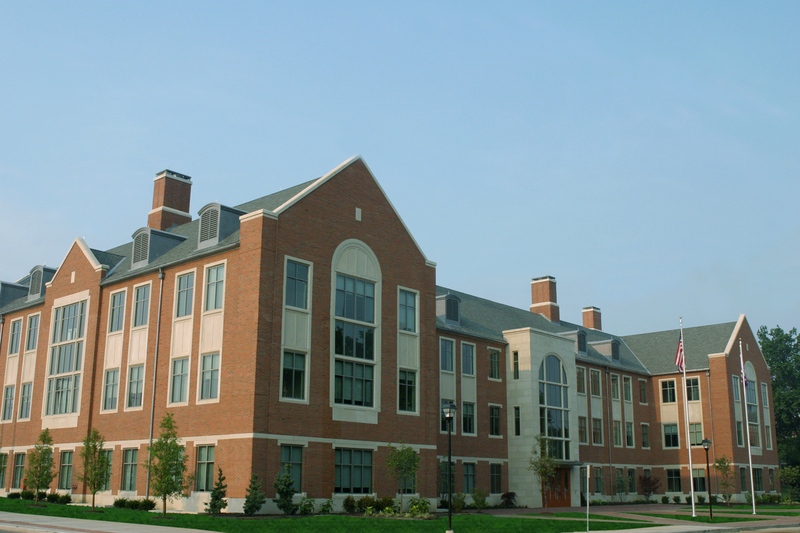 The three-story brick construction is built in an L-shape and is the largest traditional residence hall on campus. 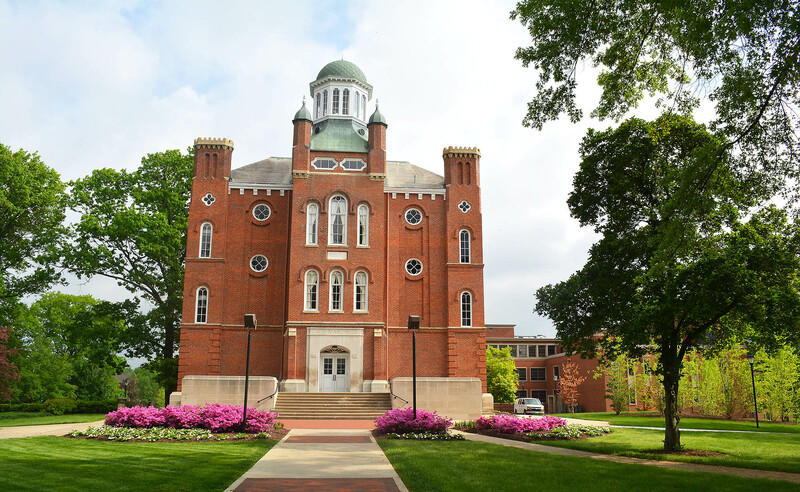 Miller is a three-story traditional brick residence hall named in honor of the Honorable Lewis Miller of Akron, long-time chairman (1868-1899) of the Mount Union Board of Trustees. It is the oldest residence hall on campus and was renovated in 2007. This three-story building houses 155 students in suite-style living units and is located directly behind the Hoover-Price Campus Center. It was named in honor of alumni Dr. Clifford '43 and Mrs. Betty (Hatton '44) Shields. These three-floor townhouses provide juniors and seniors with everything they need to have the convenience of being close to campus, while maintaining the feeling of independence as students walk up to their very own front door. This community of townhouses is built in a “U-shape” with a beautiful quad area in the middle that not only provides students with the perfect area for recreation, but also contains gas grills and outdoor patio seating. Parking is conveniently located on both the quad side and adjacent to the townhouse community. Each townhouse includes a living room left to be furnished and decorated by the apartment residents; a kitchen with a refrigerator, stove, microwave, and dishwasher; four stools/chairs for the kitchen islands; four bedrooms, each with a bed, dresser, desk, and desk chair; two bathrooms; and a stackable washer/dryer unit. The Alpha Chi Omega sorority house is located at 347 W. Simpson Ave. Alpha Eta Chapter of Alpha Chi Omega was founded at the University in 1920. First known as a musical sorority, AXO, selected its membership badge, the lyre, to represent the first instrument played by the gods of Mt. Olympus. The open motto of Alpha Chi Omega, “together let us seek the heights” also represents their musical background and pays homage to their name Alpha (for beginning) and Omega (for end). 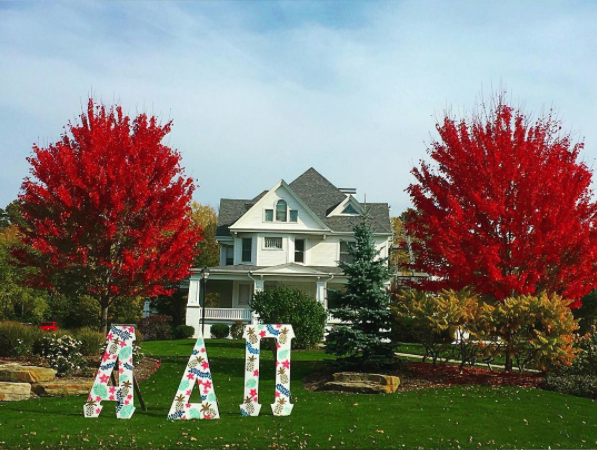 The sisters in Alpha Chi Omega meet at their house for meetings and various activities. The Alpha Delta Pi sorority resides in the Perry F. King Guest House located at 1414 S. Union Ave. The home was the gift of Dr. and Mrs. Robert G. King ’33 of Marion, Massachusetts, in memory of his late father, Dr. Perry F. King 1899, who was a priminent surgeon, member of the Board of Trustees (1914-1918), team physician (four decades), one of the founders of the Alumni Association, and the initial organizer of the Student Health Service. Founded at the University in 1947, the Gamma Theta Chapter of Alpha Delta Pi has been on campus for more than 60 years. Members of Alpha Delta Pi are involved in a variety of campus activities and meet each week at their house for meetings and various activities. 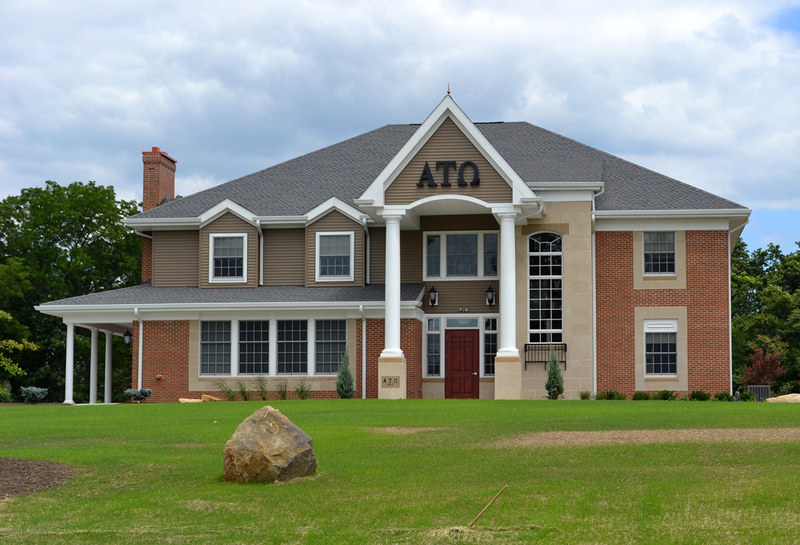 The brothers of Alpha Tau Omega reside at 1360 S. Union Ave. Founded in 1882, the Alpha Nu Chapter of Alpha Tau Omega (ATO) is a fraternity for men with specific attention paid to leadership development and service to others. The Alpha Xi Delta sorority house is located at 147 W. Simpson Ave. The Gamma Chapter of Alpha Xi Delta was founded at the University in 1902 and is the third oldest chapter of this women’s fraternity. Alpha Xi Delta sponsors activities throughout the year. Their membership badge, the quill, was selected based upon the motto “the pen is mightier than the sword” in support of Alpha Xi Delta’s commitment to high scholastic attainment. The women of the Alpha Xi Delta meet each week at their house for meetings and various activities. The Delta Sigma Tau sorority resides in Dussel House located at 1330 S. Union Ave. Dussel house was presented to the University by the late Mrs. Frank E. Dussel of Alliance, Ohio. Founded in 1991, the women of Delta Sigma Tau (DST) are involved on campus in almost all co-curricular activities that are available. The women of DST work to enact their cardinal principles of dedication, empowerment, loyalty, truth, and ambition in everything they do. This organization is unique in that it is our only “local” group in that they do not have a national headquarter office. The women of Delta Sigma Tau meet each week at their house for meetings and various activities. The Phi Kappa Tau fraternity resides in Berea House located at 1315 S. Union Ave. This property was originally Berea Children's Home. Founded at the University in 1915, the Epsilon Chapter of Phi Kappa Tau (PKT) is a fraternity for men with specific attention paid to leadership development, personal development, and commitment to service to others. The brothers of Sigma Alpha Epsilon reside at 1359 S. Union Ave. The Ohio Sigma Chapter of Sigma Alpha Epsilon (SAE) was founded at the University in 1885 and pride themselves on living the values of their fraternity’s creed, The True Gentleman. Surrounded by several academic buildings, the academic mall’s central campus location lends itself to be the perfect place to hang out in between classes. The convenient café-style patio gives students the best of both worlds by providing a place to study while also being able to enjoy the beautiful weather. On a typical day you will see students in the academic mall talking with friends, hanging out on the sitting walls between class, or sitting on the patio drinking their morning coffee from the KHIC Stand. The Black Cultural Center, a two-story house located on Simpson Street, has become home to the student-led organization the Black Student Union (BSU). One of the first members of the BSU, Michael Williams ’74, views this house as “the fulfillment of goals” for the organization. From becoming an organization in 1968 to the dedication of the Black Cultural Center in 2003, members have seen incredible change and continue to see that change today. With strong inclusionary goals, the organization has grown and evolved along with Mount Union and its students. The first free-standing chapel in Mount Union history, the Dewald Chapel was made possible by a lead gift from Dr. Donald and Mrs. Eleanore (Iman '38) Dewald. The Chapel includes a sanctuary, 24-hour meditation room, and conference and meeting rooms for religious life programs and offices. 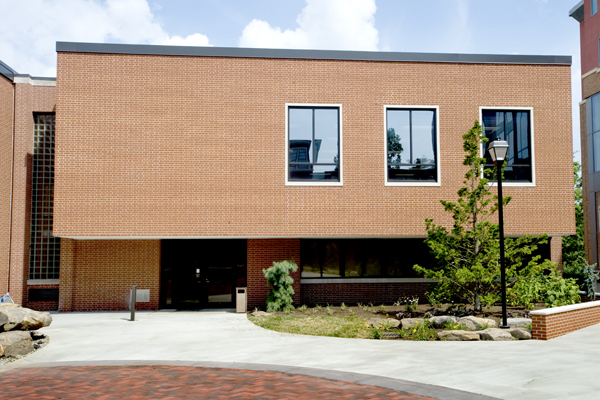 The University's Campus Center is named in honor of the Hoover Company of North Canton and the late Mr. and Mrs. H. C. Price of North Canton, principal donors for the building. It is a one-story structure of 55,800 square feet located on the northwest edge of the campus. The Campus Center is the extracurricular heart of the campus. Expanded in 1996, the Campus Center includes offices for many student services including the Center for Student Success and most of the Office of Student Affairs staff, including the vice president for student affairs and dean of the University and associate dean of students, as well as the offices of Residence Life; Diversity and Inclusion; Student Involvement and Leadership; Counseling Services; Alcohol, Drug and Wellness Education; and Spirit Squads. Both the Kresge Dining Commons and the B & B Café were renovated in 2006-2007 and are popular gathering spots for students. The Campus Center is also home to the University Store, student mailboxes, the University radio station, and offices for student publications and student organizations. The Alumni Room, Newbold Room, and West Room, as well as the Osborne and Deuble conference rooms, provide accommodations for meeting space. The mezzanine level, added in 1988, houses the CCTV and audio-visual operation. A student-staffed Information Desk and the main University switchboard are also located in the Campus Center. The John T. Huston-Dr. John D. Brumbaugh Nature Center is located six miles south of campus. The 126-acres of woodland, including 27-acres of old growth beech maple forest, provide a nature preserve for plant and animal populations native to northeastern Ohio. The land, donated to the Unviersity by Dr. John D. Brumbaugh in honor of his grandfather, Mr. John T. Huston, will be used in perpetuity as a center for environmental education. The preserve, used as an outdoor teaching laboratory for the natural sicences, also supports many faculty/student research projects. In addition, nature trails are open to the public and to organized groups in the area. The Dr. John D. Brumbaugh Visitors Center, completed in 1991, provides classroom and laboratory space and an information resource for students and other visitors. The administration building is named in honor of Mr. and Mrs. Leon A. Beeghly of Youngstown, Ohio who were major benefactors of Mount Union during their lifetimes. The building houses the principal administrative offices of the University - the offices of the President, Academic Affairs, University Advancement, Alumni Engagement, Marketing, the Registrar, Business Affairs, and Human Resources. The facility also houses the Print Shop as well as an art gallery on the first and second floors. The President's Home is located at 1304 South Union Avenue. Flexible for family living and formal entertaining. Highlights of the home include a domed ceiling in the foyer and a wall of 'college family' photographs dating from the early 1890s. The LEED-certified Gartner Welcome Center, which houses the Office of Enrollment Management, including the Office of Admission and Office of Student Financial Aid, provides a stand-alone, homey environment that is sure to make prospective students and their entire families feel at ease as they explore campus for the first time. The Welcome Center is located on the east side of campus across from Bracy Hall. This two-story brick building located at 145 Hartshorn St. is used to house the Department of Philosophy and Religious Studies. Physical Plant, located at 906 S. Union, is open Monday through Friday 7:30 a.m. - 4:30 p.m. Physical Plant is responsible for the day-to-day operation of the campus including water, plumbing, heating, electricity, grounds, snow removal, vehicle usage, vehicle registration, keys, security of campus buildings, and cleaning of all areas. Located at 136 Hartshorn St. and formerly known as the Administration Annex, the building was named in 1990 in recognition of the late Howard and Kathryn van den Eynden of Shaker Heights, Ohio. The building was the gift of an anonymous donor in 1940. Prior to that time it housed the Phi Kappa Tau fraternity, and from 1942-1962 it served as the College Student Union and a residence hall. The building, renovated in 2018, now houses offices for the Regula Center, Incubox, and the Office of Sustainability as well as the Department of Sociology and Criminal Justice.